The Hobbit: An Unexpected Journey, The Desolation Of Smaug & The Battle Of The Five Armies. The Lord Of The Rings: The Fellowship Of The Ring, The Two Towers & The Return Of The King Special Features Special Features May Not Be In High Definition. Audio And Subtitles May Vary The Hobbit: An Unexpected Journey: Commentary, Theatrical-Release Special Features The Appendices Part 7: A Long-Expected Journey: The Chronicles Of The Hobbit - .. The Hobbit An Unexpected Journey: Follow Bilbo Baggins, who - along with the Wizard Gandalf and 13 Dwarves, led by Thorin Oakenshield - is swept into an epic and treacherous quest to reclaim the lost Dwarf Kingdom of Erebor... The Hobbit The Desolation Of Smaug: Bilbo and the Dwarves escape the giant Spiders and Wood-elves of Mirkwood before encountering the mysterious Bard, who smuggles them into Lake-town. Finally reaching the Lonely ..
Ralph Bakshi's animated version of the seminal fantasy trilogy by J.R.R. Tolkein, made by overlaying animation on live action actors (a unique pre-computer graphics technique). Set in the fictional world of Middle Earth, The Lord of the Rings tells the epic story of Frodo, a Hobbit who must defeat the evil figure Sauron who holds the Ring of Power, which controls the fate of all Middle Earth. On the way he and his band of friends and co..
Own The Lord Of The Rings - Fellowship Mug from Deff, DVD, Blu-Ray & 4K Video Specialists - Free UK Delivery.. Assisted by a Fellowship of heroes, Frodo Baggins plunges into a perilous trek to take the mystical One Ring to Mount Doom so that it and its magical powers can be destroyed and never be possessed by evil Lord Sauron. The astonishing journey begins in the first film of director/co-writer Peter Jackson's epic trilogy that redefined fantasy filmmaking. This imaginative foray into J.R.R. Tolkien's Middle-earth won 4 Academy Awards and earn..
Own The Lord Of The Rings - Gandalf Mug from Deff, DVD, Blu-Ray & 4K Video Specialists - Free UK Delivery..
Own The Lord Of The Rings - Gollum Mug from Deff, DVD, Blu-Ray & 4K Video Specialists - Free UK Delivery..
Own The Lord Of The Rings - Legolas Mug from Deff, DVD, Blu-Ray & 4K Video Specialists - Free UK Delivery..
Own The Lord Of The Rings - Logo Mug from Deff, DVD, Blu-Ray & 4K Video Specialists - Free UK Delivery..
Own The Lord Of The Rings - Map Framed Print 30 x 75 from Deff, DVD, Blu-Ray & 4K Video Specialists - Free UK Delivery..
Own The Lord Of The Rings - Middle Earth Framed Print 30 x 40 from Deff, DVD, Blu-Ray & 4K Video Specialists - Free UK Delivery..
Own The Lord Of The Rings - Middle Earth Mug from Deff, DVD, Blu-Ray & 4K Video Specialists - Free UK Delivery..
Own The Lord Of The Rings - One Ring Framed Print 30 x 75 from Deff, DVD, Blu-Ray & 4K Video Specialists - Free UK Delivery..
Own The Lord Of The Rings - One Ring Mug from Deff, DVD, Blu-Ray & 4K Video Specialists - Free UK Delivery..
Own The Lord Of The Rings - Ring Inscription Mug from Deff, DVD, Blu-Ray & 4K Video Specialists - Free UK Delivery..
Own The Lord Of The Rings - Silhouette Framed Print 30 x 40 from Deff, DVD, Blu-Ray & 4K Video Specialists - Free UK Delivery..
Own The Lord Of The Rings - Silhouette Mug from Deff, DVD, Blu-Ray & 4K Video Specialists - Free UK Delivery..
Frodo's heroic journey begins. Winner of four Academy Awards. Special Features Special Features May Not Be In High Definition. Audio & Subtitles May Vary, English SDH Main Feature, Bonus Material/Trailer May Not Be SDH, The Lord Of The Rings: The Fellowship Of The Ring Extended Edition In 1080p High Definition, 4 Commentaries By The Director And Writers, The Cast, The Production Team And The Design Team, With More Than 30 Participants .. Assisted by a Fellowship of heroes, Frodo Baggins plunges into a perilous trek to take the mystical One Ring to Mount Doom so that it and its magical powers can be destroyed and never possessed by evil Lord Sauron. The astonishing journey begins in the first film of director/co-writer Peter Jackson’s epic trilogy that redefined fantasy filmmaking. This imaginative foray into J.R.R. Tolkien’s Middle-earth won 4 Academy Awards and earned .. The Lord Of The Rings - The Fellowship Of The Ring - Extended Edition Special Features The Lord Of The Rings: The Fellowship Of The Ring Extended Edition, 4 Commentaries By The Director And Writers, The Cast, The Production Team And The Design Team, With More Than 30 Participants Including Peter Jackson, Fran Walsh, Phillippa Boyens, Richard Taylor, Andrew Lesnie, Howard Shore, Jim Rygiel, Randy Cook And Cast Including Elijah Wood, Ian.. Assisted by a Fellowship of heroes, Frodo Baggins plunges into a perilous trek to take the mystical One Ring to Mount Doom so that it and its magical powers can be destroyed and never possessed by evil Lord Sauron. The astonishing journey begins in the first film of director/co-writer Peter Jackson's epic trilogy that redefined fantasy filmmaking. This imaginative foray into J.R.R. Tolkien's Middle-earth won 4 Academy Awards and earned .. It is time. For Frodo to overcome the wickedness of Gollum, the horrifying attack of the colossal arachnid Shelob and the soul-twisting allure of a ring that resists destruction. For Aragorn to take up the sword of his forebears and the crown of his birthright. 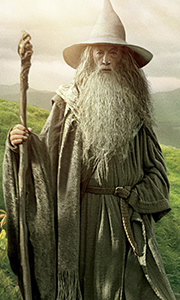 For the mighty clash that wizard Gandalf calls "the great battle of our time." And for the inspired culmination of the films based on J.R.R. Tolkien's literary classic. For the t.. The final battle for Middle-earth begins. Frodo and Sam, led by Gollum, continue their dangerous mission toward the fires of Mount Doom in order to destroy the One Ring. Aragorn struggles to fulfill his legacy as he leads his outnumbered followers against the growing power of the Dark Lord Sauron, so that the Ring-bearer may complete his quest. Winner of II Academy Awards. Special Features In-Depth Programmes The Quest Fulfilled: A Dir.. The Fellowship has broken, but the quest to destroy the One Ring continues. Frodo and Sam must entrust their lives to Gollum if they are to find their way to Mordor. As Saruman's army approaches, the surviving members of The Fellowship, along with people and creatures from Middle-earth, prepare for battle. The War of the Ring has begun. Nominated for six Academy Awards incuding Best Picture. Special Features In-Depth Programmes Reveali..
Frodo and Samwise press on toward Mordor. Gollum insists on being the guide. Can anyone so corrupted by the ring be trusted? Can Frodo, increasingly under the sway of the ring, even trust himself? Meanwhile, Aragorn, drawing closer to his kingly destiny, rallies forces of good for the battles that must come. Director Peter Jackson delivers an amazing second movie that won 2 Academy Awards and earned 6 total nominations including Best Pi.. The Fellowship has broken, but the quest to destroy the One Ring continues. Frodo and Sam must entrust their lives to Gollum if they are to find their way to Mordor. As Saruman's army approaches, the surviving members of The Fellowship, along with people and creatures from Middle-earth, prepare for battle. The War of the Ring has begun. Nominated for six Academy Awards including Best Picture. Special Features In-Depth Programmes Reveal..
Blu-Ray was made for a journey like this... All 3 theatrical versions versions in lustrous 1080p and DTS-HD Master Audio 6.1 Deluxe 6-Disc set. Special Features English SDH Main Feature, Bonus Material/Trailer May Not Be SDH 3 Special Features DVDs With 6+ Hours Of Spellbinding Behind-The-Moviemaking Material..
Blu-Ray was made for a journey like this... All 3 theatrical versions versions in lustrous 1080p and DTS-HD Master Audio 6.1 The Fellowship Of The Ring Assisted by a Fellowship of heroes, Frodo Baggins plunges into a perilous trek to take the mystical One Ring to Mount Doom so that it and its magical powers can be destroyed and never possessed by evil Lord Sauron. The astonishing journey begins in the first film of director / co-write..
Peter Jackson's complete epic big screen adaptation of J.R.R. Tolkien's 'Lord of the Rings' trilogy - filmed back-to-back and released over 3 consecutive years. In 'The Fellowship of the Rings' (2001) Frodo (Elijah Wood) is a hobbit living in the Shire, a quiet, peaceful part of Middle Earth. When it turns out that his elderly relative Bilbo (Ian Holm) is harbouring the ultimate Ring of Power and the evil Nazgul riders of Sauron are com..
4 Academy Awards (2001): Best Cinematography, Makeup, Score and Visual Effects. The Lord Of The Rings: The Fellowship Of The Ring. 2 Academy Awards (2002): Best Sound Editing and Visual Effects. The Lord Of The Rings: The Two Towers. 11 Academy Awards (2003): Best Picture, Director (Peter Jackson), Adapted Screenplay, Art Direction / Set Decoration, Costume Design, Editing, Makeup, Score, Original Song "Into the West" and Visual Effect..
Blu-Ray was made for a journey like this... All 3 theatrical versions versions in lustrous 1080p and DTS-HD Master Audio 6.1 Deluxe 6-Disc Set includes 3 special features DVDs with 6+ hours of spellbinding behind-the-Moviemaking Material. The Fellowship Of The Ring Assisted by a Fellowship of heroes, Frodo Baggins plunges into a perilous trek to take the mystical One Ring to Mount Doom so that it and its magical powers can be destroyed..
Own The Lord Of The Rings - You Shall Not Pass Doormat from Deff, DVD, Blu-Ray & 4K Video Specialists - Free UK Delivery..